Fundraising, the Pinterest edition (subtitle…Bronco’s fans are generous! Today was Mission day and our longest training run before the race. 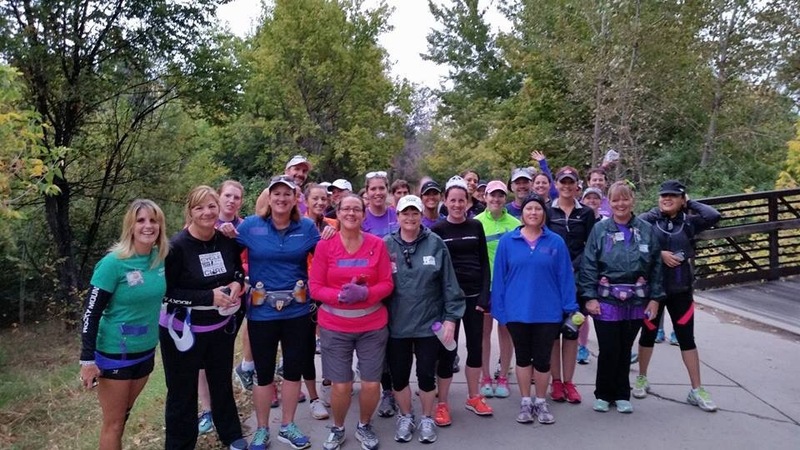 Today, all of the metro area run/walk teams came together to train. We have all shared so much these last months…and today we got to share a little more and reflect on the Team in Training mission. As I ran I thought about Margaret and Doug, about my friends (plural :/) whose mothers are fighting blood cancers, about my coworkers (plural) who have lost parents, my teammates who have lost family and friends, the little girl from back home who is recovering from a bone marrow transplant, and all of the researchers and medical professionals, and volunteers who are helping with this battle. I took a moment to honor those lost and celebrate those who are with us still! Team Melina guided us to the start and we spent the first mile running/walking in silence. I promise you I’m in that picture-behind Melina’s mom Desiree! Fast forward to mile 12! Feeling good. Running strong and cheered on those last few feet by Coach Jeff!! 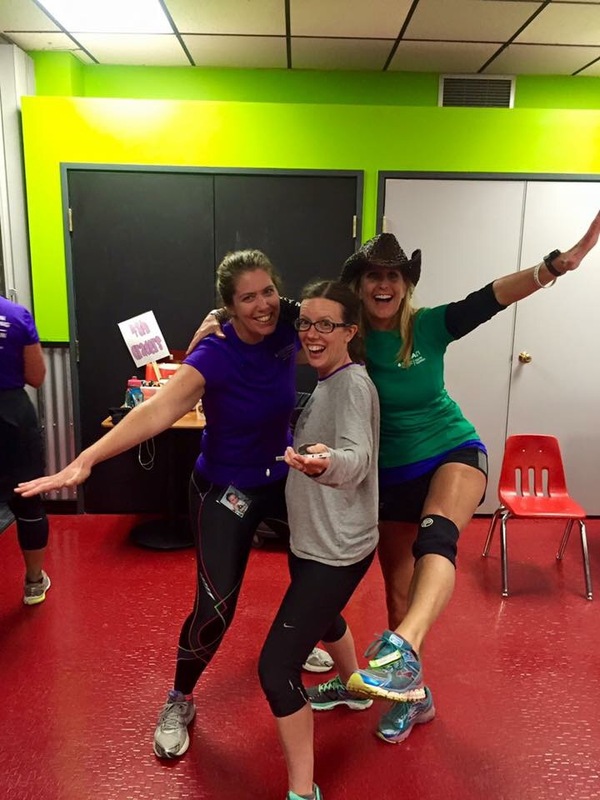 Being goofy with teammates after the run…before food…while waiting to cheer people as they returned! 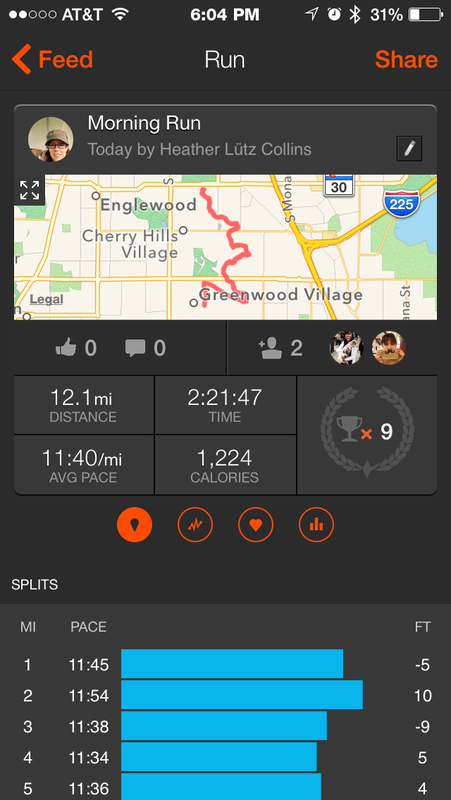 Just to brag on myself…My last four half-marathons were at a 13:30 pace. Healthy + training + awesome coaches + great teammates + wonderful family and friends = goodness. It’s October. Hey guys…IT’S OCTOBER!!! I can’t believe we’re down to the final countdown. 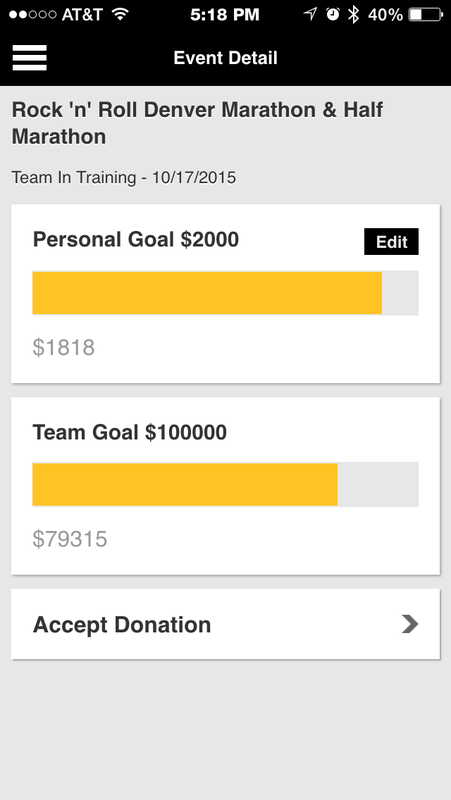 5 days (including today) to finish up my fundraising. 16 more days until the race. 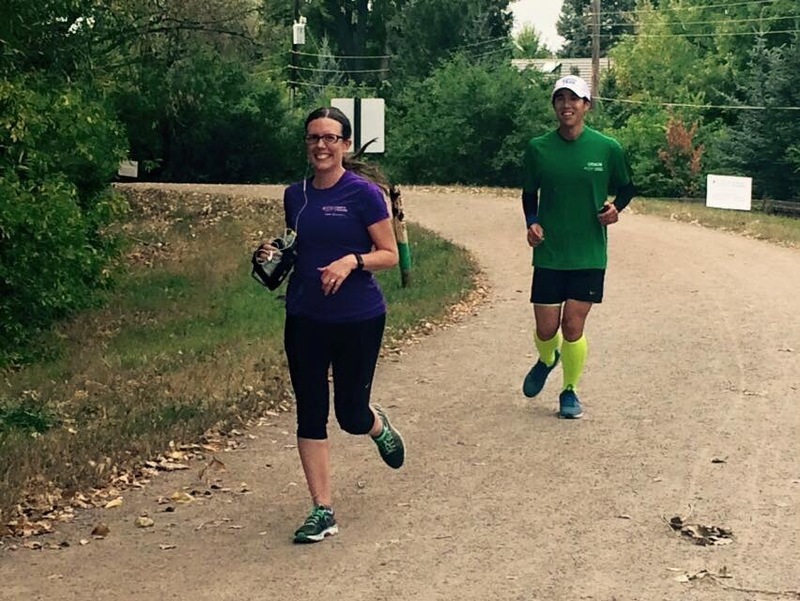 Tomorrow is mission day…our longest training run! This has, hands down, been one of THE most fulfilling things I have done. Ever. I’m going to do a post a day for the next five days to count us down to the fundraising deadline-and then (at least) one wrap up, sentimental and emotional post after/around race day! Ok let’s be honest -there will be several… And, as always, here is the link to help out with my fundraising. Post 1 -To honor the end of this leg of my journey…lets go back to the beginning. Why did I get up at 5:30am every Saturday for months to go run? Why did I ask and ask and ask and ask for donations? Why did I bombard facebook with posts about all of this? To raise funds and awareness for blood cancer research and family/patient support-but to also honor my grandma Margaret and learn more about her life. Here is a story Aunt Penny shared with me about Margaret learning how to drive. I hate driving. Really hate it. Margaret and I drove across the country together once-and all I remember is having fun and laughing. She made me feel comfortable and at ease! Margaret wanted to learn to drive before Penny began to attend Mayo Junior High School in the fall of 1957. The walk to school was a little more than a mile. Margaret didn’t want Penny to walk that far in the rain or cold winter snow. Penny was a sickly child who contracted strep throat several times a year. Marion, who wasn’t crazy about Margaret learning to drive, traded his car for a 1950 baby blue stick-shift Plymouth in 1955. He knew she had wanted an automatic but thought the stick would discourage her from wanting to drive. He was possessive of Margaret. He didn’t want Margaret jumping into the car and going wherever and whenever she wanted. As if she would anyway. Marion had lost one wife to rambling ways. He wanted Margaret all to himself. Margaret kept asking Marion to teach her to drive. On one of their Sunday afternoon drives, he decided to let her give it a try. This was her first time behind the wheel of a moving car. On a deserted country dirt road, she tried and tried to get the hang of the clutch. She only succeeded in jerking Penny, David and Larry like rag dolls as they sat in the back seat.. Finally, Marion got so aggravated he yelled at her until she cried. She got out of the car, slamming the door. By the time she got to the passenger side, Marion was sliding across the bench seat to the driver’s position. The children shrank into the back seat hoping to disappear. Being on the receiving end of Marion’s wrath was not fun. His growl was very loud and scary. That evening Margaret vowed that she would learn to drive but not a stick shift car. She threw such a fit, Marion traded the Plymouth for an 1955 Buick with an automatic transmission. Marion tried again to teach Margaret to drive. That episode wasn’t quite as bad as the previous one but still ended with yelling on Marion’s part and crying on Margaret’s. Once back home, Margaret told him, “I’ll learn to drive but it will be with someone else.” That was the end of the discussion. 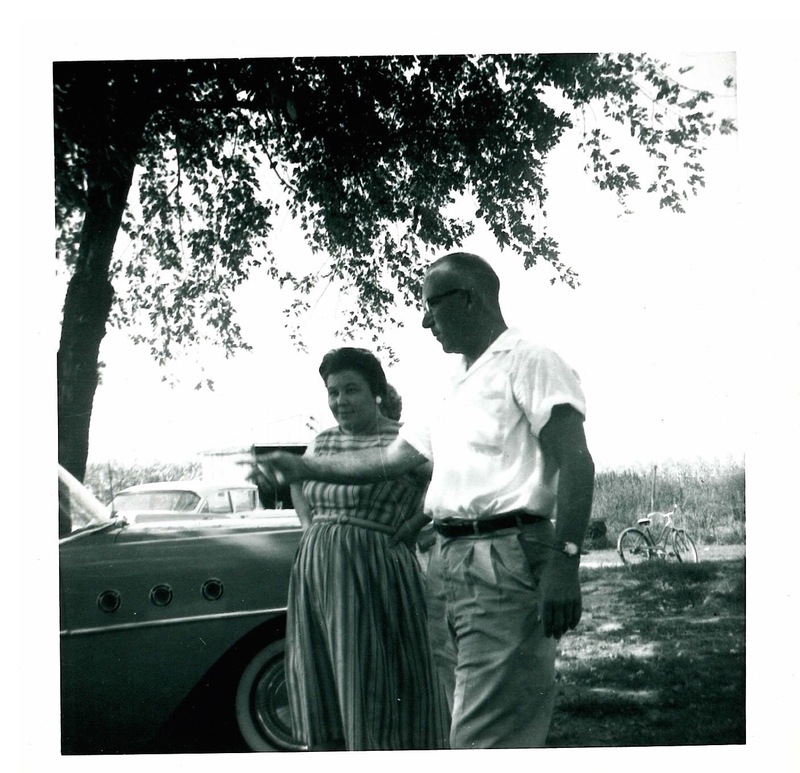 A friend and neighbor taught Margaret to drive during the summer of 1956. Several days a week, they practiced on country roads until Margaret was ready to take her driving test. She failed her first but that was typical in Paris. No one ever passed the first time. A week later Margaret was all set to take her second driving test but David was ill. She decided she would take him to the doctor, check him in and leave him there while she went to take the driving test even though it was against the law for her to drive by herself. Her eyes had the sparkle and shine of success as she left the Department of Motor Vehicles with her interim license. Unbeknownst to Margaret, David had passed out in the waiting room. The staff had taken him back to a treatment room. He had pneumonia. The doctor could not treat him without permission so they were trying to find Margaret. They may have even called the police. When Margaret finally showed up David was on a table in the back, still unconscious. She was totally mortified and flooded with guilt. After David recovered from his illness and Margaret from her humiliation, she ventured outside of Paris and Edgar County. She drove to Danville, Illinois and Terre Haute, Indiana. The first trip to Terre Haute was to exchange S&H Green stamps for a lamp. The summer of 1957, while Marion worked away from home, was a fun one for Margaret and the children. She took them to the drive-in theater on weeknights since Marion didn’t care to go after being away all week. She fixed popcorn, fudge, and an RC Cola for each of them. What a treat! On a Wednesday, a payday, Margaret had the children get up early. She packed a picnic lunch to be eaten while visiting Marion. She was taking them on a seventy mile road trip to Clay City where Marion was building a highway. They knew the drive would take all morning. She’d pick up his check instead of waiting for it to arrive in the mail on Friday. By picking the check up early, she could pay bills and shop before Friday. Since she had learned to drive, he didn’t mind if she did the banking and grocery shopping. Those chores had been his on Saturdays until the past year. When they arrived it was very hot and bright. Not a cloud in the sky. A white chalky dust covered everything, even the men. There was no shine on any vehicle except the one Margaret drove and the dust accumulated quickly. Marion saw them and ambled over to the car. He kissed Margaret but didn’t hug her because he was too dirty. He pretended he was going to hug and kiss the kids, too. They ran around screaming and laughing using Margaret as a shield. Their arrival coincided with the 11:30 lunch hour. Marion took the picnic basket from the trunk of the car and carried it to the tailgate of his truck, a good place to sit and eat sandwiches. Just as Margaret was clearing away the leftovers, Marion had Penny, Dave and Larry gather round to see inside his lunch bucket. Fried pies! One each. Because it was the last summer Marion worked away from home, it remained a very special summer to Margaret and the children. Within the next three years, Marion would be grateful that Margaret drove. It was Margaret who drove Marion’s father the one hundred sixty or so miles to Chicago for his weekly prostate cancer treatments. Margaret had a lot of get up and go. Following Marion’s death in 1988 she went wherever and whenever she wanted. Margaret continued to drive until the last few months of her life when she herself became a cancer victim. This picture was taken before she wore glasses. Her first eye exam showed she needed bifocals. She was very surprised.